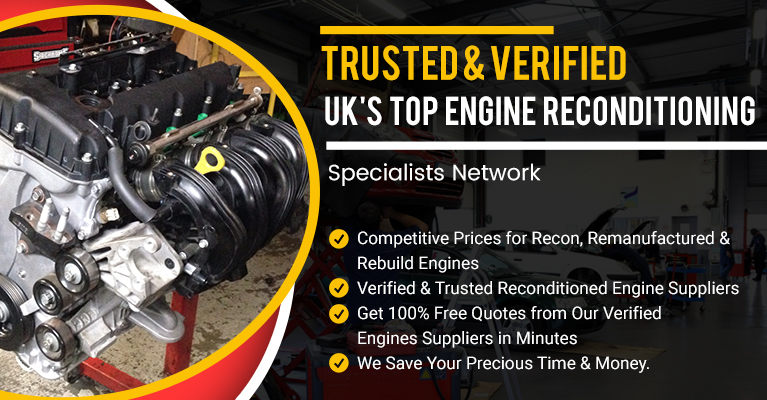 Buying the best reconditioned engine is very simple at Recondition Engines. Just simply enter vehicle registration details and get relaxed. We will do the rest of the job for you to offer you the perfect reasonable engine prices Hassle free engine comparison at a single click. Easily follow the simple four steps to purchase excellent recondition engines. We always authorize all the engine retailers in our coverage to offer you the best quality service.